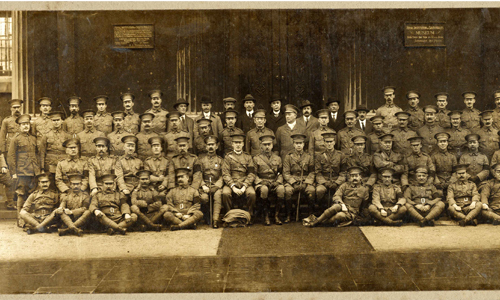 You are here: Home / What’s on / Exhibitions / Swansea and the Great War 1914 – 1918. The 28th July 2014 marked the 100th anniversary of the start of one of the most catastrophic wars in European history. Over 60 million people were mobilised for the armed forces alone. Young men signed up to serve in their thousands from all over Britain including, of course, Swansea and South Wales. Many of those who signed up never came home and those who did were often greatly affected by the events they witnessed. The First World War (often called the Great War) started in August 1914 and lasted until November 1918. The actual causes of the war are complicated and still debated by historians to this day. There are now no survivors who fought in World War 1 to tell the story of the horrors of trench warfare in an age where modern mechanised forms of killing such as the machine gun had recently come of age. The figures for those killed are still debated to this day. Approximately 10m were killed and 31m wounded. The UK lost a total of just over 1m killed with a further 2m wounded. In many cases families and villages lost an entire generation of young men. Approximately a further 250,000 were killed from the Commonwealth countries including 75,000 from India, 65,000 from Canada, 62,000 from Australia and thousands of others from across the Commonwealth including African and the Caribbean Islands. 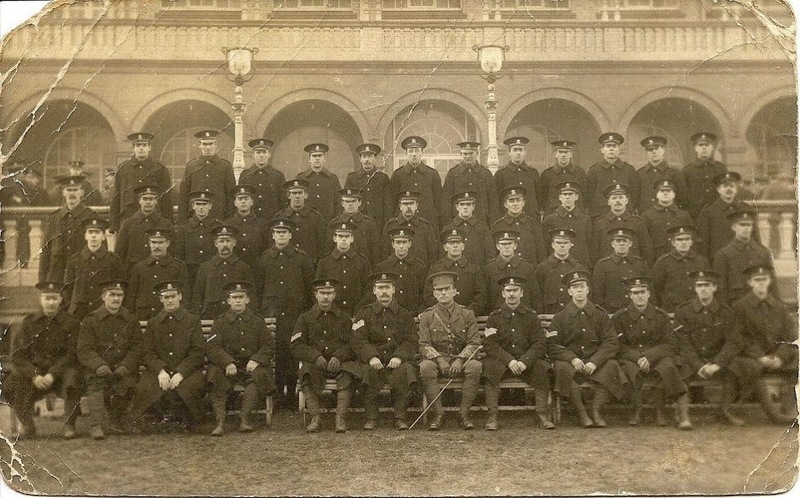 The 14th (Service Battalion), The Welsh Regiment were part of the 38th Welsh Division. The Battalion were known as the “Swansea Pals” and consisted of 1,200 men from Swansea and the surrounding towns including Neath and Port Talbot. On the 7th July they found themselves in one of the deadliest battles of the war, Mametz Wood, in which almost 100 of them were killed and 300 more injured. Mametz Wood was part of the Somme Battlefield. By the end of the war in 1918 more than 600 of the Swansea Pals had given their lives for King and Country. The war would have affected the majority of the population of Swansea in one form or another. Many families would have lost loved ones. Much of the population not serving in the armed forces would have served the war effort as munitions workers, nurses or in other voluntary capacities, particularly women. Many Swansea seamen also died serving in the merchant navy, running the gauntlet of U boats bringing essential supplies to Britain.